Why do you need to envision your book? Without vision, your project will perish. Now prepare yourself for the writing process. Don’t forget about your body! If you exercise for only 15 minutes without hydrating, you will have lost 10% of the water in your brain tissue. That 10% decrease amounts to half your muscle capacity and is very dangerous! When you’re using your brain, thinking and strategizing, you are exercising your brain tissue. It is the same as physical exercise. Keep hydrated and you will find your thoughts flowing freer. Hydrated means water or water-based, non-carbonated, non-caffeinated drinks. Carbonated and caffeinated drinks cause dehydration. What are some bad habits you might need to overcome so you can get on with your writing? Find a spot of your own just for your writing and remove any distractions. Put up the do not disturb sign and have everything prepared ready to go before you sit down to start writing. This will save you from wasting time. Writing tool in good repair that are reliable and accessible. Think pen, pencil and eraser. Paper, notepads and notebooks. Computer, Laptop or Netbook. What is your chosen way of writing – personally I prefer to sit down with a pen and paper, but perhaps you may prefer to type with your laptop or PC, while others may prefer to use a voice recorder. Whatever your preference make sure everything is set to go. Clothing – Keep a sweater or shawl handy for if you’re feeling chilly, your favorite bunny slippers to keep your toes comfy or perhaps wear layers that you can take off if the temperature is rising. Have your favorite drink handy and some water. If you need munchies to keep you going have then at the ready. Have all your research material together so you not hunting it down. Gather your inspiration around you. Things that would start a story out for you – like photos, writing prompts, family heirlooms, your journal. Your memory is like a vault for your creation, dig in and pull out some childhood memories, places you have been or a funny incident that occurred. Pinpoint your inspirations and gather them up. Organizational tools – file folders to keep all your writing in, including notes (never throw anything out until your project is totally complete). This is for your hard copy and have each separate writing project kept organized in its own file and saved in Google Docs or whatever cloud storage you use, on your computer, flash drives. Make sure you have a backup file for anything stored on your computer. Have a dictionary and thesaurus handy? Online is fine. Personally I like to have both. 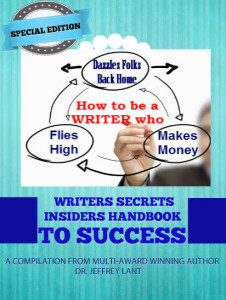 Check out “The Coffee Break Author” found at: www.BringOutThePotential.com which breaks up the writing process into a dozen coffee break size writing sessions and oodles of tips to get you all the way from your book idea stage to a fully written book with easy to follow steps. Why do you need a focus? It makes your writing direction clear. Once you’ve made your decision stay focused on that and work through to get your project finished. Feeling like you don’t have enough time to write? First with limited time it’s important to use that time wisely. So turn off any distractions, put up the do not disturb sign and have everything prepared ready to go before you sit down to start writing. This will save you from wasting time. Below I’ve broken the writing process down into short simple writing sessions you could do in the time you have for a coffee break. Ready to finally get on with your writing? Session 1 – A Brainstorming session to start getting those book ideas flowing. Write everything that pops into your mind down with no censorship or criticism. Session 2 – Review ideas and pick out the ones that resonate with you. Write each separate idea down on its own sticky note ready for organizing in a “Post It Wall” outline. Session 3 – Build the characters for your story. Write them on your sticky notes. Give them special attributes and characteristics. Try to be as specific as you can to make them more believable and life like. Again this is a brainstorming session so try to get into your character and write down ALL your ideas to flesh them out. Session 4 – This will be your actual first writing session to come up with a catchy opening paragraph. Include your setting, introduce your main character(s) and start the momentum happening. Most importantly come up with some kind of hook to capture your reader’s interest and draw them into your story. 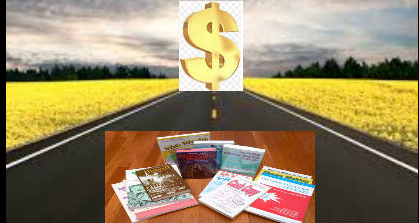 Session 5 – Revisit the beginning of your book and enrichen it. Bring your reader right into the setting of your book. Make your characters come to life. Develop your style and let the story unfold. Session 6 – As we move into the middle section of our book our plot and subplot unfolds along with the conflicts our character is working through. Now’s the time to put together an outline for your book. Got back to all your sticky notes and using the Post It Wall outline paste those sticky notes to a blank wall and start to organize them and create a direction for your story. Fill in any gaps and add descriptive words or phrases to start fleshing out your story. Revisit your Post It Wall outline as often as needed. Session 7 – Now that you have an outline and some direction for your story you can get on to writing a quick rough draft to your book. This will be the first of many drafts. Doing it quickly will give you a clean trajectory following the outline of your story. If you blast your way to the ending this will give you a much better sense of what belongs in the beginning and middle sections of your book. Session 8 – With your outline and the rough draft you should have developed the key principles, parts and milestones as benchmarks to move along within your story structure. When you did the strategizing and plotting of your main story points in your outline you probably have a pretty good idea of how your story will end. If you’re not quite certain here is where you’ll do some brainstorming to arrive at a strong ending for your story. Write down a few endings and read them with your whole story to see which one flows the best and is best suited to your story. Session 9 – Time for revision – recite and rewrite. With a rough draft completed now is the time to get more critical and revise your work making sure each paragraph leads to the next. Each page leads to the next page. Reread your work (reading it out loud). Look for the flow. Ask yourself questions such as “What exactly is happening here and what effect does it have on my character? Have I expressed my ideas in a way that will give my readers the perspective I was hoping for, engaging them and guiding them on the path of my story? You the writer will always be controlling the direction of your story. Does each scene deepen your reader’s connection to the story? This is where you will be doing your cutting or reworking of weak areas. Recite them once more and rewrite until you are happy with what you have created. 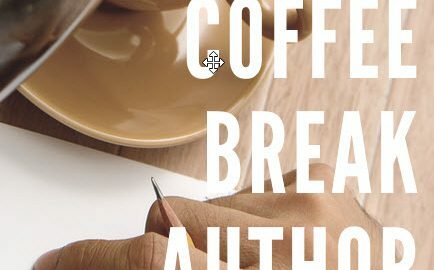 Make sure to read the complete version of “The Coffee Break Author” by Patrice Porter found at http://bringoutthepotential.com It is full of tips and insights to help you through your writing process. Want easy access to what these writing sessions are? No Alexa device – no problem you can get the Reverb app for Mobile phones FREE. 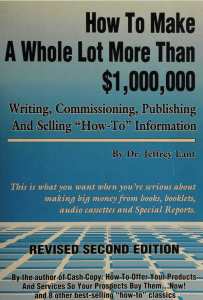 35 video sessions from his extra ordinary online “Writers Secrets” course. Everyone has the collywobbles their first day of work. I was no exception. 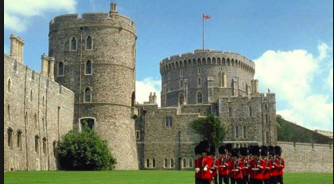 Consider where my new work had taken me: Windsor Castle. monarch’s residence, their home sweet home. Queen. Oh yes, Windsor was home. cheer and high spirits on everyone, whether they liked it or not. escape from Cambridge, and to travel my own royal road to fame and glory. revolutionary antecedents, or perhaps by anyone in Britain. States Ambassador (1969-1974), a personal friend of Her Majesty. for a more mobile journey. world what an ingenious Yankee could do when he had the chance. persistence, deft writing skills, and the ability to find and proclaim new truths. would use the same information in three different formats. press, that is to say newspapers and popular magazines. be divided into these three publication departments. Harvard put together. Honi soit qui mal y pense. 1887 statue by Sir Joseph Edgar Boehm, Baronet, RA. Here’s the story. sprinkled with my own sheer wit. Yankee amongst the troops of Her Majesty’s brigades. great Midwest, and I was here for a purpose I intended to achieve. Majesty top, Dr. Lant bottom. Bet the long odds. polite boy from the great Midwest, and manners were my forte. himself. It had his macabre touch. Merlin or some other wizard of consequence was there awaiting my arrival. staircase, cold, massive, sunk in the darkest gloom, unpredictable. man, and this was my right. moment as significant, as important as Henry M. Stanley greeting Dr.
Livingstone in the depths of the Congo (1871). She might have said, “Dr. an exalted place, and woe if I did not attend to them precisely. No mistake allowed. I was there at H.M.’s distinct invitation. None of this fazed me. speak the Queen’s English with a semblance of wit and insight, as indeed I could. The first problem came about because they made me take tea, everyday. they never saw the analogy. the precincts of Windsor Castle for sixty minutes was not on my agenda. proud the day I saw at the royal academy a colored print identical to one I had. distressed, disabled, had already finished the hard labor, and left us to reap the rewards. move about to whatever purpose we ordered. humiliating deed to get what he needs for his tatty empire to sail on, oh ship of state. nation, but he could not play the game of guns and butter like we could. Glory” was on its knees, America waited just long enough to take everything it wanted. responsibility to build a bridge, and maintain it. relation I had had gone to war in defense of England, our Allies, and a better world. Will, the handsomest man in Henderson County, Illinois, the swiftest player on the gridiron. politicians like Roosevelt and Churchill play games, why, that is what they do best. mistakes, we still constitute the best and greatest chance of the survival of mankind. Phillip’s sister Sophie, Princess of Hanover, for all the world like a sprig of the house of Windsor. The irony is that I descend from Hanover and Folk. What would they have thought of my proximity. Friends and deeply appreciated readers, good morrow. 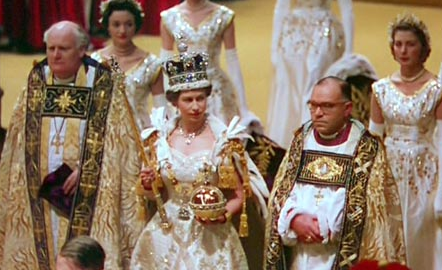 I little thought, so many years ago, when I first encountered the Queen and the royal Windsors, that I should be, so many decades later, writing my own memoirs of my several encounters. But I am. How did I begin my connection with the Windsor dynasty? In just this way: to get a doctoral degree at Harvard, you must write a work of intellectual distinction that is closely evaluated and reviewed by an intimidating jury of high-ranking academics. The drill goes like this… You present a list of possible doctoral dissertation topics you feel yourself able to write about with new insights, new data, and the certainty of a front page review in the New York Times, always our sure objective. 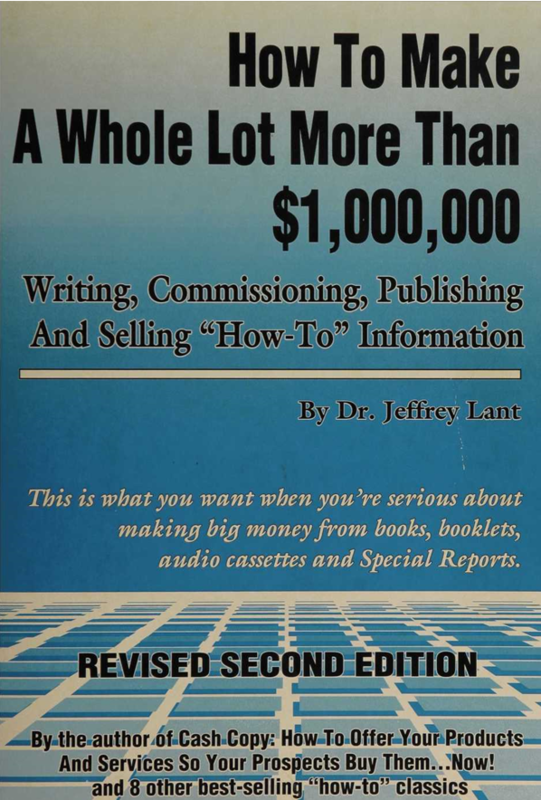 … In my usual way, I shall be using the creation of this book as a splendid opportunity to assist you with yours. You Have ALL the Advantages Today. Take Them! Get our messages and stories out to the world! Think how hard it was for Julius Caesar to produce his military memoirs, “Omnia Gallia est divisa in tres partes…” Capturing the slaves to take dictation was just the first problem. It was hard, hard, hard for Juli… on the Ides of March or any other ides. Why bother? Why did so many of the world’s most intelligent, shrewd and competitive people work so hard to write, to publish, and to persuade total strangers about their point of view, determined to succeed despite any, every obstacle? 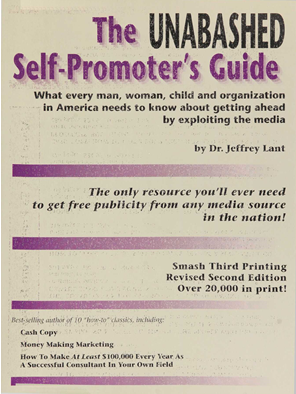 They did it to change minds, to influence, to motivate action, to enthuse, to gain adherents and followers, to make a resounding, eternal reputation for themselves… and to make MONEY as fast as they could. You see, whatever the difficulties of publishing might have been at any stage of human events, the benefits of publishing far, far outweighed them. You, YOU, right now can do what not a single one of such great and notable worthies could do; your book going worldwide in just weeks, even days. 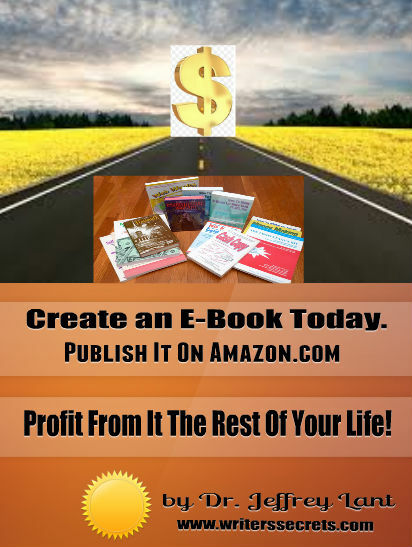 Let’s celebrate for you are about to surpass all the writers and publishers ere now… and that is magnifique indeed. that made him a multi-millionaire! So many of us want to be a writer and we have to begin somewhere. To be a good writer read good writing. Here’s an excellent article to get you started. At first there will be a lot of garbage coming out. It’s better to get that garbage out so the good stuff can come in. Here’s a wonderful recording to answer that question So you want to be a writer? by Charles Bukowski telling how to write like Charles Bukowski. It’s read by Tom O’Bedlam. check it out and let me know what you think in the comment box below. Many people see blogs as a great place to express their opinions. Now let’s take that one step further and look at the many other benefits blogging has for authors or want to be authors. 1. You develop a following. Your new content given on a regular basis gives your readers a reason to stay connected with you and your topic. 2. You create tentacles. Write content that engages people and brings them to your website. Make sure to include your share buttons to make it easy for people to spread your content around. 3. Earn better search engine results. Google and other search engines love fresh content to categorize. The more active and relevant your blogging is the higher ranking your search results. 4 Hone your craft. To become a good writer you need to be writing and what better way then to apply your craft with your weekly blogs. 6. You will get to know your industry. You’ll want to position yourself as a resource for your topic which will make you always on the lookout for news, trends, and fresh ideas relatete to your subject matter. This makes you even more of an expert and a go to person! Thanks to Book Baby for these tips.